All pre 1990 cars, trucks and motorbikes. More information about cars attending: Public parking for people without pre 1990 cars. As usual, people without pre 1990 are welcome to park in the public parking area. Hampshire's No. 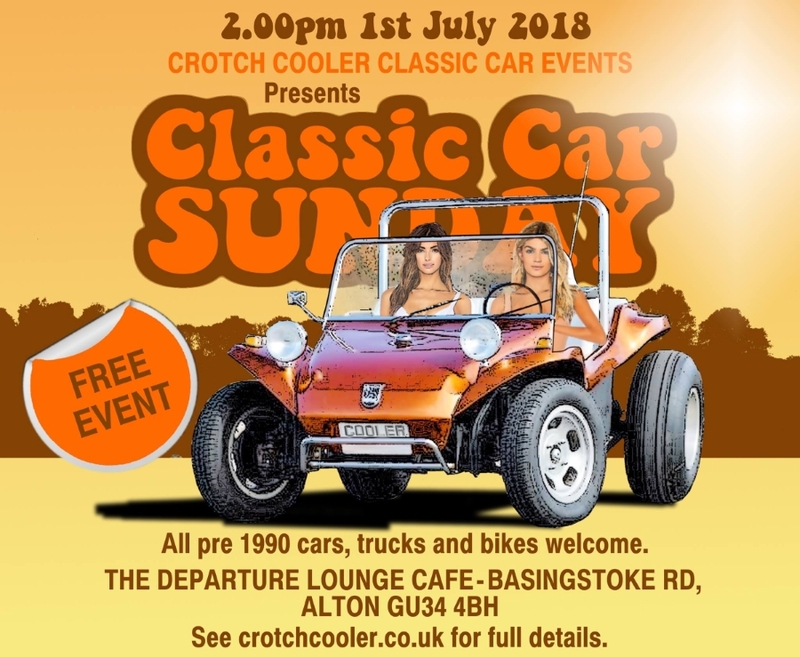 1 free monthly classic car event.. Summer is here and what better thing to do on a summer Sunday afternoon than to head over to Crotch Cooler's Classic Car Sunday at The Departure Lounge Caf� in Alton. Vintage inspired caf� with an event field alongside set in the Hampshire countryside. Vintage food trucks in attendance. See website for full details.